Too far? Aziz Ansari compared Chris Brown to President Donald Trump during his opening monologue on Saturday Night Live on Saturday, January 21, and the "Loyal" singer was not happy, retorting with a racist remark. 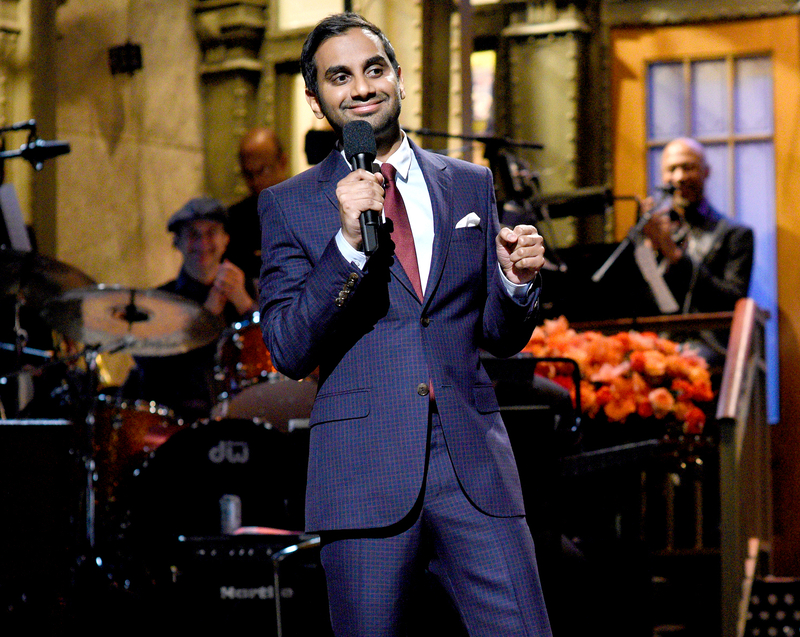 As SNL’s first-ever host of South Asian descent, the Master of None star and creator, 33, delivered a hilarious nine-minute stand-up monologue that addressed the president&apos;s inauguration and the divided state of the nation. At one point, he jokingly referenced Brown&apos;s much-publicized legal troubles, saying, "I&apos;m sure there&apos;s a lot of people that voted for Trump the same way a lot of people listen to the music of Chris Brown, where it&apos;s like, &apos;Hey, man! I&apos;m just here for the tunes. … I don&apos;t know about that other stuff. I just like the dancing and the music. I don&apos;t condone the extracurriculars." "If you think about it, Donald Trump is basically the Chris Brown of politics," Ansari continued. "And &apos;Make America Great Again&apos; is his &apos;These hoes ain&apos;t loyal.&apos;"
Brown, 27, caught wind of the Parks and Recreation alum&apos;s joke and took to Instagram on Sunday, January 22, to clap back in a since-deleted video. "I can&apos;t f–king catch a break," the Grammy winner said. "This n—a said, &apos;Donald Trump is the Chris Brown of politics.&apos; I swear I&apos;m gettin&apos; the f–k outta here. Don&apos;t f–kin&apos; trust what you see. Even salt look like sugar." Brown later reposted The Shade Room&apos;s Instagram video of Ansari&apos;s comments. "F–K NO!!!!!! Somebody tell ALADDIN HOP OFF MY D–K!" he captioned the post, making a racially charged comment about the comedian, whose family is from Tamil Nadu, India. Watch Ansari&apos;s full SNL monologue below.